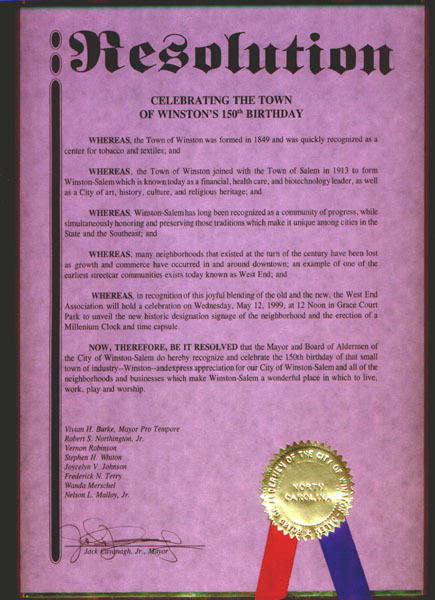 The West End Hosts Winson's 150th birthday. 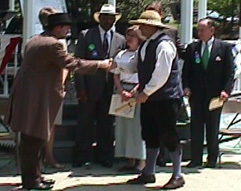 The Resolution passed by the city for the event. What we hope the clock will look like in Grace Court.